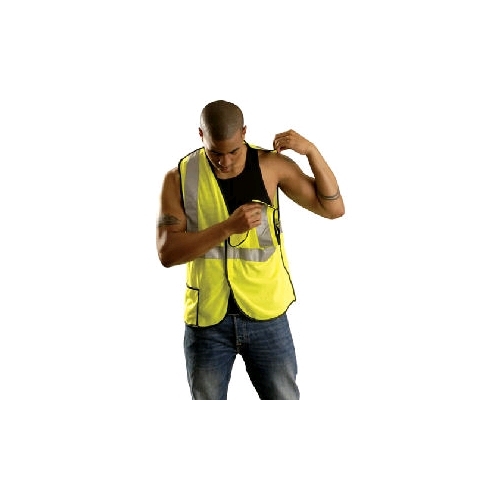 OccuLux Cool Mesh Break-Away Vest includes hook and loop fasteners at the top, sides and front which breakaway when tugged with moderate force, to help prevent workers from being caught and pulled. Vest also features: ANSI Compliant 100% polyester, bright, lightweight, breathable open weave knit mesh background material. 2" 3M™ Scotchlite reflective tape - One 360° horizontal stripe plus two vertical shoulder stripes.